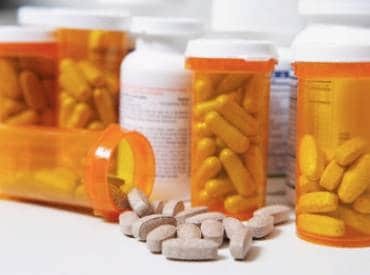 Drug firm Jubilant Life Sciences Friday said the US health regulator has issued a warning letter to the company for its Roorkee facility in Uttarakhand. "The United States Food and Drug Administration (USFDA) may withhold approval of any new applications or supplements till the company addresses all issues raised by the agency," Jubilant Life Sciences said in a filing to the BSE. The company did not provide any details about the issues raised by the USFDA in its warning letter. "However, we believe that the existing manufacturing and sale of products from this facility will not be impacted. US revenues from the facility is about 4 per cent of the total revenues of the company," Jubilant Life Sciences said. The company is committed to implementing the necessary corrective actions required to address USFDA concerns and is in the process of providing a thorough and comprehensive response to the USFDA within 15 working days, it added. Earlier on December 8, 2018, the company had said in a regulatory filing that the US health regulator had classified its inspection of the company's Roorkee solid dosage formulations facility as "Official Action Indicated". The facility was inspected by USFDA in August 2018, it added. According to the US regulator, "when FDA finds that a manufacturer has significantly violated FDA regulations, FDA notifies the manufacturer. This notification is often in the form of a warning letter." Shares of Jubilant Life Sciences were trading at Rs 766 per scrip during the day on the BSE, down 2.28 per cent from its previous close.